Coffee Connection is an educational ministry for adults that aims to strengthen knowledge and practice of the Orthodox faith. Twice a month, all interested adults meet in the youth room under the gym immediately following Holy Communion, when church school is dismissed, until 11:40a.m. The setting is ideal—everyone gathers in the youth room kitchen for a cup of coffee and to chat with other parishioners. Offered in this “mini coffee hour” is a selection of educational handouts about our Orthodox faith. Once all are gathered, participants move into the adjacent room for a presentation and discussion on the day’s topic. 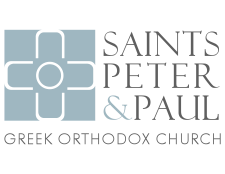 The presentation is an opportunity to learn more about the faith, while the discussion emphasizes how to practice Orthodox traditions in our everyday lives. Coffee Connection is led by Prof. Helen Theodoropoulos, Randa Anderson, and Doreen DeSent. Click here to access our adult education resources. Coffee Connection leaders may be reached at SSPP.COFFEE.CONNECTION@gmail.com.